Guess Who Else Was On Jefferson Smith’s Bus Project? James O’Keefe. Heh. Somebody else was riding Jefferson Smith’s Bus Project a little while back. James O’Keefe. He’s the “Citizen Journalist” who exposed ACORN, PBS and recently has been systematically releasing videos showing how easy it is to commit voter fraud in the United States. The conservative “Citizen Journalist” and video provocateur, James O’Keefe, and his Project Veritas crew are getting ready to release videos on Oregon’s Bus Project and its founder, Portland Mayoral candidate, Jefferson Smith. From the sounds of it, the bussies have some ‘splainin’ to do. 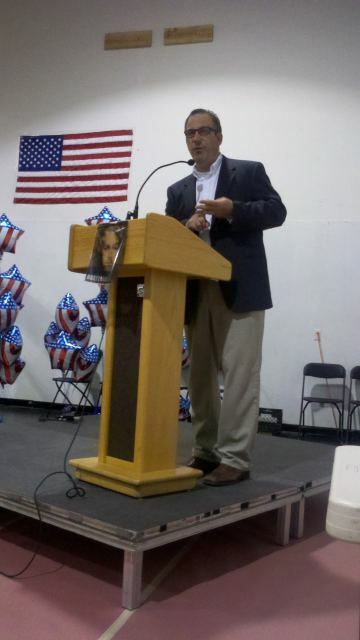 O’Keefe made the announcement Saturday night at the Oregon Tea Party, held at Terry Emmert’s Recreation Facility in Clackamas County. O’Keefe hinted that the bussies might have given underaged kids alcohol among other no no’s. Breitbart.TV’s Larry O’Connor was also a featured speaker and in a bawdy speech, which delighted the hundreds gathered, told stories about Andrew Breitbart and going after the Liberal Media Complex, as Breitbart tagged it. A toast was raised to Breitbart, who recently died of a heart attack, and an award in his name was given to two Oregon based “Citizen Journalists,” Daylight Disinfectant and Laughing at Liberals, whose work you’ve seen here and on their You Tube channels. 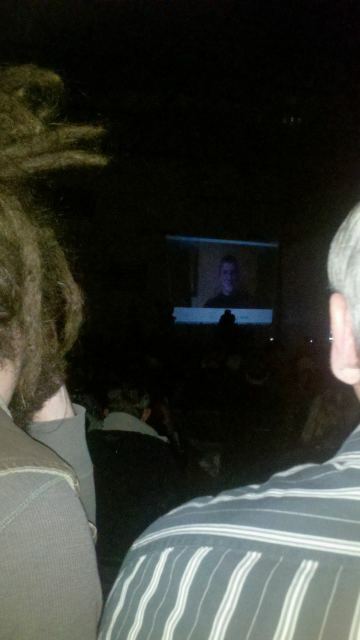 O’Keefe made the announcement via Skype. He was expected to come in person but had to Skype in based on his attorney’s advice. O’Keefe is under scrutiny for his recent video showing how easy it is to commit voter fraud. Two weeks ago in Washington, D.C., poll workers were ready to give one of his colleagues Eric Holder’s ballot–without showing ID. The Project Veritas crew member who was handed Holder’s ballot (he didn’t take it so as not to break the law) made two cameos during O’Keefe’s speech on Saturday night. O’Keefe says he rode the Bus in disguise. Readers of this blog know the shenanigans of the Bus Project. In posts here, here, here, here, here, here and here. 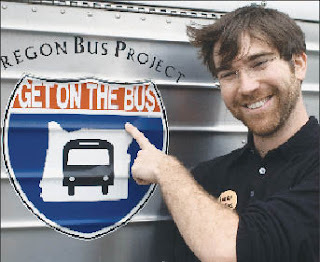 I chronicled how Smith’s Bus Project shipped in students to canvas for far left candidates. In some cases the students were given school community service credit in exchange for the free labor. Students were handed speeches, talking points and pamphlets to “share” with the perfect strangers whose doors they would knock on. In one instance Labor Commissioner, Brad Avakian, met the students to give them a pep talk. If an employer had used free labor like the Bus Project had Avakian would have met them with a subpoena. Worse, the North Clackamas School District, where these incidents were exposed, did not have The Bus Project listed as an accepted “charity” in order to receive credit. But, seeing as how the candidate they were stumping for was the then Board of Education Chair, I can see how that was, er, overlooked.